What should I do to show Twitter search results? I'm using v3.6.1 + heroku deployment, and properly set the twitter secrets in the settings. But nothing is different. 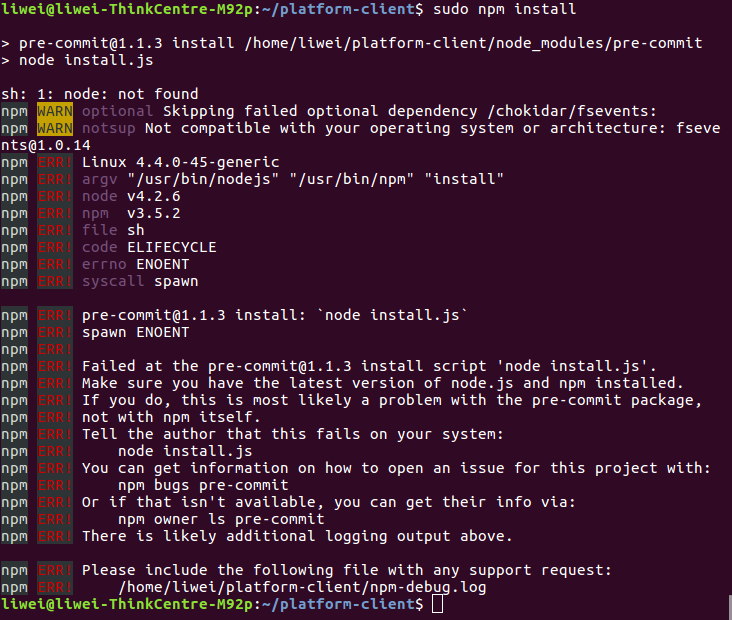 I'm now installing the client. 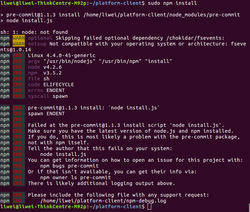 I got something wrong while running "sudo npm install". Ok I already fixed that problem. Here is another one while running "gulp". Well... I'm stuck to make twitter come up in my timeline. I modified Twitter settings several times, but tweets never comes up. 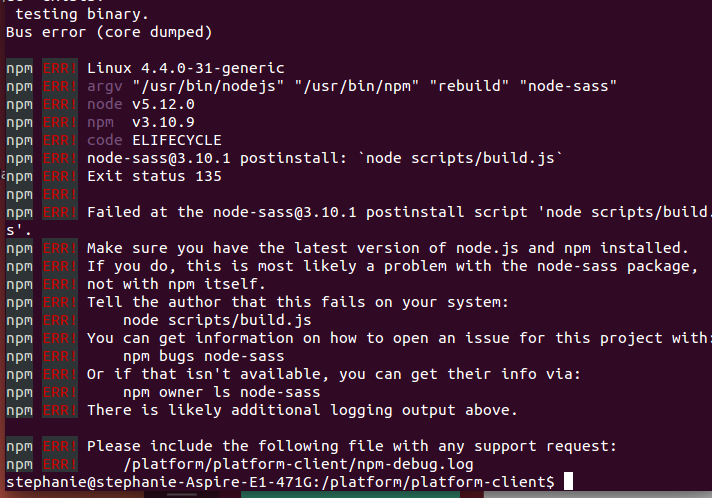 [David Losada, Ushahidi] Nesp, that’s an error in the docs, fixing that now. Thanks for bringing it up! 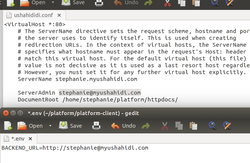 how to make the vhost and point the docroot? [David Losada, Ushahidi] sanqian, the document root is the default folder where apache will map the paths present in the browser request. [David Losada, Ushahidi] Arturo, what is the error you are getting after the update? 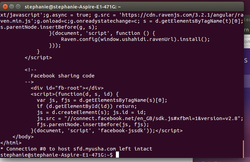 I should build two vhost to run ushahidi right? [David Losada, Ushahidi] sanqian, how do you try to access the frontend server? [David Losada, Ushahidi] Nesp, welcome! [David Losada, Ushahidi] do you type sfd.myusha.com in your browser? @ushbot as I have all set up right now, which file should I download and where should I place it? Should I put it in my platform folder? 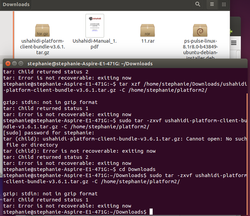 I re-cloned the platform.git but I don't see any 007 file. [David Losada, Ushahidi] sanqian, is your browser in the same computer where you are configuring all this? 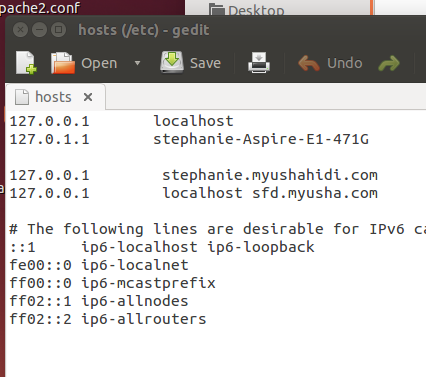 [David Losada, Ushahidi] sanqian, one thing you can do is edit /etc/hosts (you will need to do that as an admin) and add sfd.myusha.com at the end of to the line that starts with “127.0.0.1” . 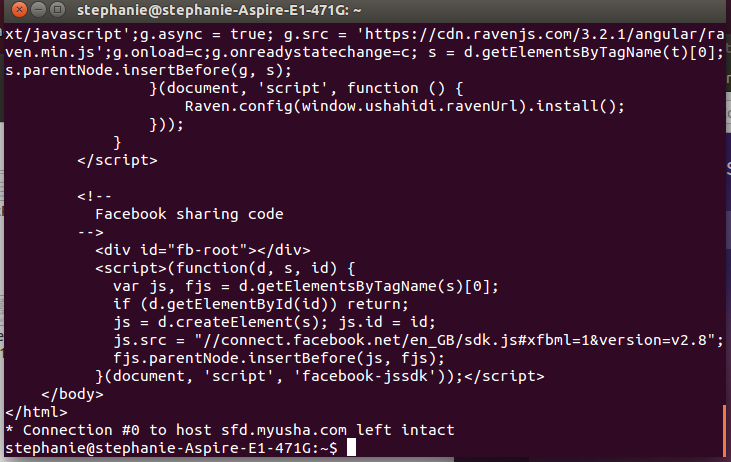 As an example you may have “127.0.0.1 localhost” , and you would edit that to “`127.0.0.1 localhost sfd.myusha.com`"
[David Losada, Ushahidi] Nesp, what file do you mean? 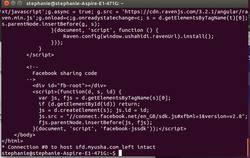 [David Losada, Ushahidi] sanqian, if you open a terminal and run the command `curl -v http://sfd.myusha.com` , what output do you get? referred to the image: what should be the .env file name? 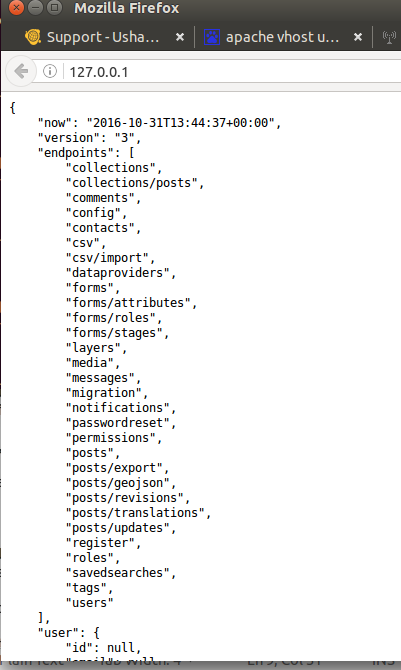 With "myapi.server/" do you mean the location of the platform (APIs) in the server? Should I write localhost then? 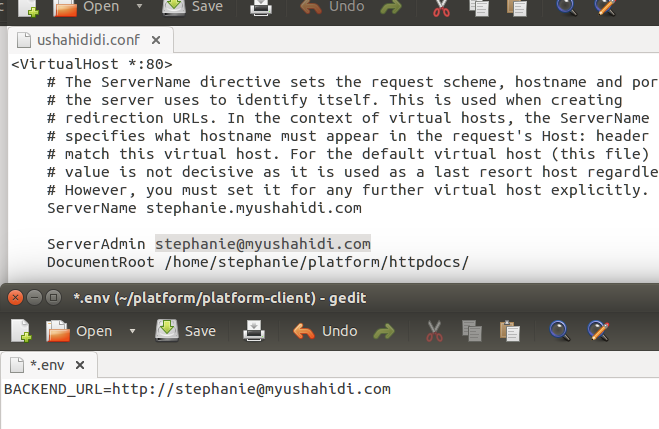 Actually according to the instructions, my localhost points to "/platform/httpdocs". What should I write there? 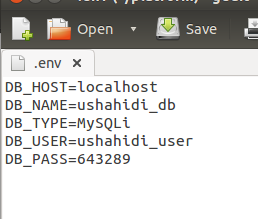 [David Losada, Ushahidi] Nesp, that’s the URL through which the browser will be able to connect to the platform API . Setting it to localhost is an option, but only browsers running in the same host as the server will be able to use the site. [David Losada, Ushahidi] sanqian, unfortunately the error provided by the browser gives us very little to work on. Could you please see if you can get more detail out of that error? i cannot access your website to read the install guide now. have I miss something in the file .env? Did I lost some lines? or the front vhost is nothing with that file? 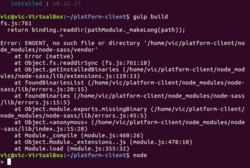 There is no file name .env in the platform-client,should i build one? [David Losada, Ushahidi] does http://stephanie.myushahidi.com also give you that response ? then what should my server admin be? 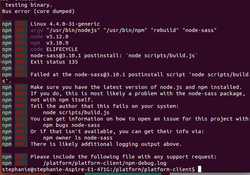 [David Losada, Ushahidi] try the suggested command npm rebuld node-sass ? 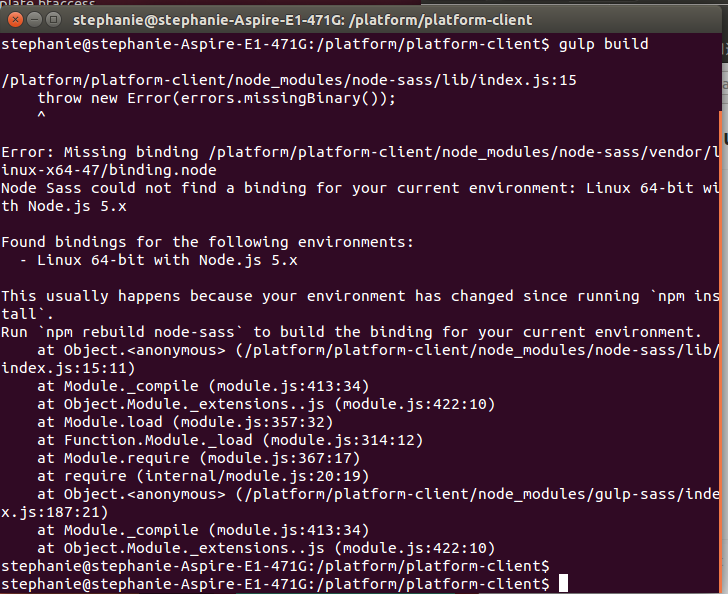 well... is it normal when I run "gulp", it stuck on this line? However, I can manually open browser and successfully access "localhost:8080"
Also, I found that I can't stop this running by "ctrl+c", or this access may fail. [David Losada, Ushahidi] willis, yea, “gulp” runs the development server . [David Losada, Ushahidi] sanqian, that doesn’t look very good.. what is the output right before “Bus error (core dumped)"
Ok, I may need some time to figure it out. David, thank you so much for helping me these two days! 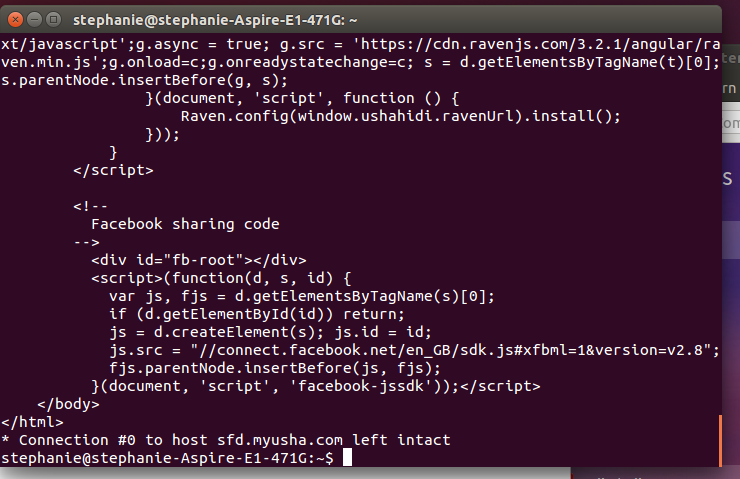 [David Losada, Ushahidi] sanqian , did you intend to make changes to our code right after installing? 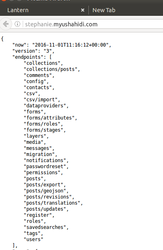 would you mind to send me email attache the ushahidi-platform-client-bundle-v3.6.1.tar.gz? [David Losada, Ushahidi] re: Twilio, have you checked our docs at https://www.ushahidi.com/support/data-sources#twilio ? 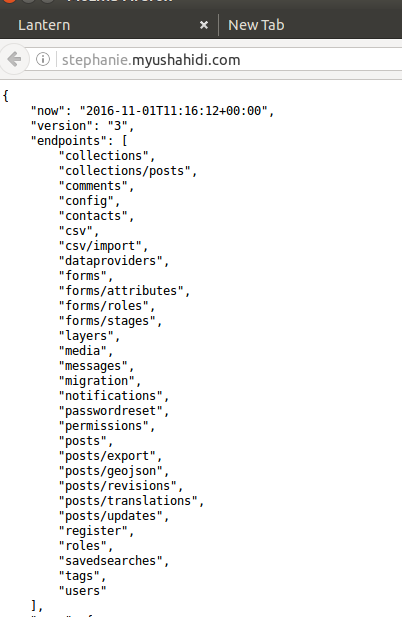 [David Losada, Ushahidi] look for “ushahidi-platform-client-bundle-v3.6.1.tar.gz"
[Jess Shorland, Ushahidi] but does it actually need to be https://usaelectionmonitor.api.ushahidi.io/sms/twilio/reply? [Jess Shorland, Ushahidi] BOOM. THAT WORKED! [Jess Shorland, Ushahidi] sms is functioning properly! 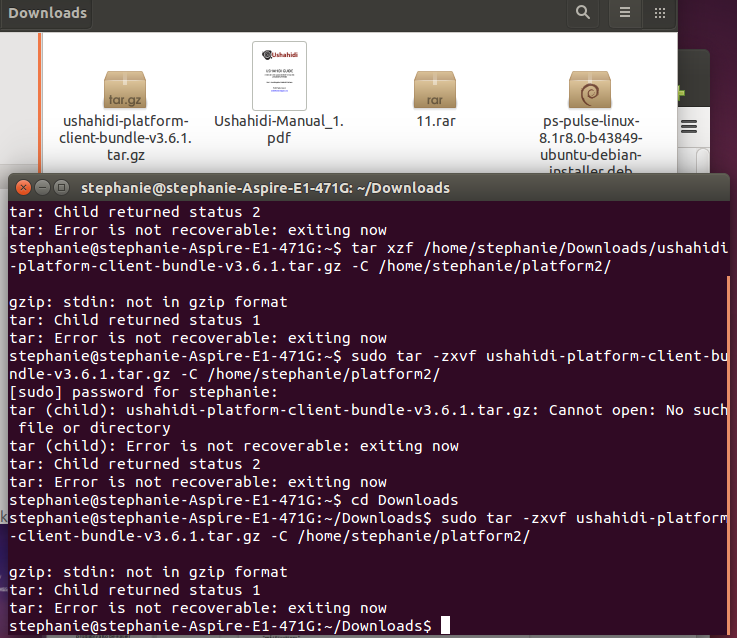 How about restart to install ushahidi from the ever begin? Maybe I will face this problem again right? 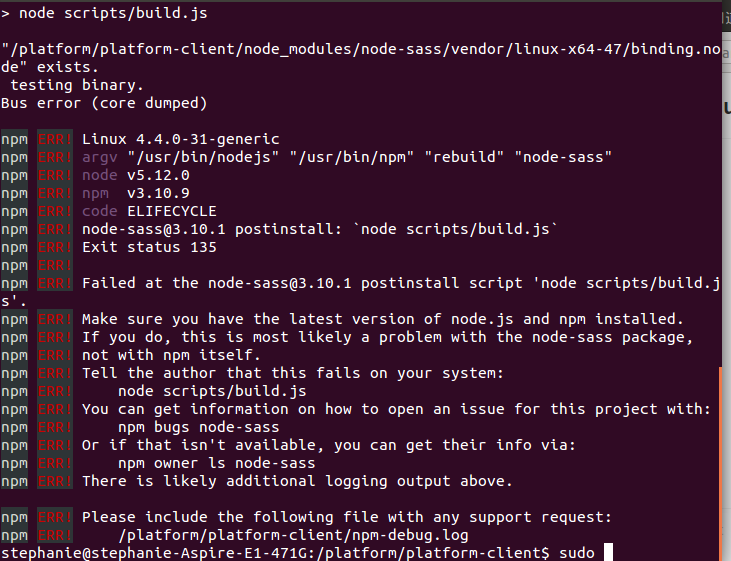 @davidlosada this is my platform "http://bb.fiu.edu"
[David Losada, Ushahidi] ok Arturo, let me know once you’ve done that.. you also need to run “gulp build"
[David Losada, Ushahidi] Nesp, how did you install nodejs in your vm? 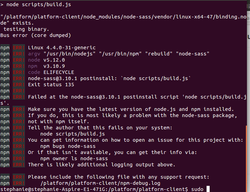 [David Losada, Ushahidi] Sanqian, if you cannot download the release it’s quite hard to help..
[David Losada, Ushahidi] Nesp, can you run node from the terminal? 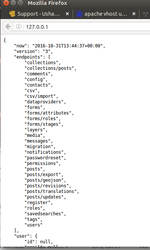 [David Losada, Ushahidi] Arturo, are you updating the backend, the frontend or both? 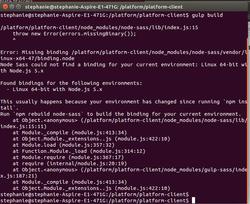 With the backend I am having other problems. [David Losada, Ushahidi] that should be fine, no other messages? @davidlosada I have applied the update, and it is done! the system is still working! [David Losada, Ushahidi] Try cd ..
[David Losada, Ushahidi] Arturo, I guess we’ll have to look at the error in detail. Could you do the update again? @davidlosada the execution of the "sudo git pull" represents "536 files changed, 15735 insertions(+), 14565 deletions(-)"
[David Losada, Ushahidi] weblib02.fiu.edu is that the backend server? @davidlosada Or do you need the stage with the update applied? [David Losada, Ushahidi] what I’ve seen so far it’s still making me scratch my head..
[David Losada, Ushahidi] did you run gulp build? 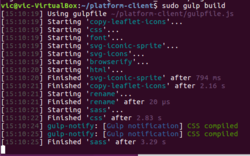 [David Losada, Ushahidi] the template files I’m getting are not correct and those are built with “gulp build"
then, which are the steps to update? Can I restore the system? when I must do the gulp build? [David Losada, Ushahidi] oh is it a small server? 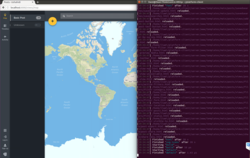 [David Losada, Ushahidi] what do you get when you ls server/www/templates ? [David Losada, Ushahidi] mm did all the build really go well? nothing strange apart from that couple lines you pasted? [David Losada, Ushahidi] could you please also initiate a conversation in our intercom support and mention me there? hi can anyone advise what is the better way to install ushahidi on aws? on an EC2 instance with LAMP stack or on elastic beanstalk?